Providing Award Winning Assisted Living in Anthem Since 2001! Anthem Senior Living is the Original and ONLY facility tested over years for it's excellence service! Finally an Assisted Living Facility you can and should expect amazing service from! You pay for the care, the LOVE is Free! 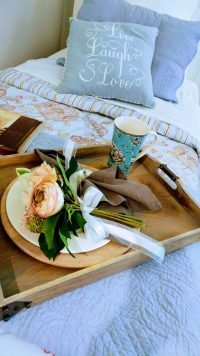 From breakfast cooked to order to bed turn down service, your loved one will experience quality custom care designed specifically for them! Equipped only with the friendliest of staff, ASL had a long history in serving seniors. With unsurpassed expertise and the quality of love and service; our home is the runner up for the best managed assisted living home in Arizona. Our senior residents receive our complete attention everyday. Everyday we are embraced with joy and excitement that comes from our senior patients. Sam (the Owner) has extensive experience working with elderly patients and gains great satisfaction from the difference he makes in their lives! Growing up in a large family (who all raised the bar in Assisted Living in AZ) and having major responsibilities from a very young age shows through the smiles of each resident at ASL. At Anthem Senior Living, you get all the comforts of home while an entire medical team is behind your loved one ensuring proper care and paying close attention to their health. If you are in the search for a quality assisted living home or adult care home in Anthem Arizona, Anthem Senior Living may be among your favorites, see what others have said about our assisted living home. Is Anthem Senior living right for me or my loved one? Are you looking for a private home is a quite and renowned community? Are you looking for a home that has a great reputation? Wishing for large and spacious private rooms? Are you looking for a friendly compassionate staff? We have a beautiful suite available that is fully furnished, jack-n-jill bathroom adjacent. Can accommodate a Temperpedic adjustable bed, wall mounted TV, Lift Recliner etc. You’re more than welcome to use our furnishings or bring your own! Call Today! Caring staff. Wonderful environment. Have peace of mind knowing my mom is taken care of. Beautiful home in quiet residential area. They treat the residents like family. We have been blessed to have my father in their care since April 2015. You are angels! Thank you for helping us at a difficult time! My dad is making a great comeback under your care. Anthem Senior Living has been a great place for my mother who needs total assistance. She is safe and well cared for by Lupita, Carlos, Irma. Thank you for you devotion and care. We appreciate everyone involved. Quality elder care is one of the reasons why Anthem Senior Living is one of Arizona’s preferred assisted living homes, specializing in all levels of care, we offer senior residents with independence while assuring that all their care needs are met.